Harper Business’s Hollis Heimbouch is the recipient of the third annual Jack Covert Award for Contribution to the Business Book Industry. Heimbouch is currently the VP and Publisher at Harper Business, where she has published established voices like Michael Gerber, Barbara Kellerman, Noreena Hertz, and Clayton Christensen, and helped give rise to new ones in Gary Vaynerchuck, Sally Hogshead, Liz Wiseman, and Dan Ward. Under Heimbouch’s leadership, Harper Business has also published two 800-CEO-READ Business Books of the Year: Great by Choice by Jim Collins and Morten T. Hansen in 2011, and, in 2014, The Intel Trinity by Michael S. Malone. I always looked forward to seeing Hollis to find out what I was going to be selling the next season. Hollis has a great track record but she’s never complacent. She’s open to new ideas and constantly pushing the genre forward. 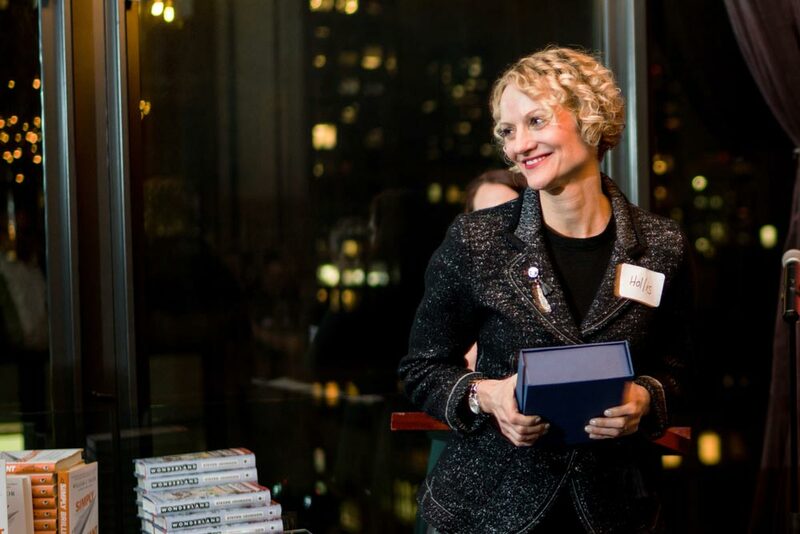 Prior to running Harper Business, Heimbouch spent more than a decade at Harvard Business School Press where she edited books from now-legendary authors Warren Bennis, Howard Gardner, Rosabeth Moss Kanter, and Michael Porter, and under her guidance as Associate Publisher and Editorial Director, HBSP published The Innovator’s Solution, The First 90 Days, Blue Ocean Strategy, and The Ultimate Question—all classics of the genre. Hollis Heimbouch is a bellwether of the ever-evolving genre of business books, and we here at 800-CEO-READ couldn’t be more honored to continue to partner with her and her team as we navigate the future of business and business books together.